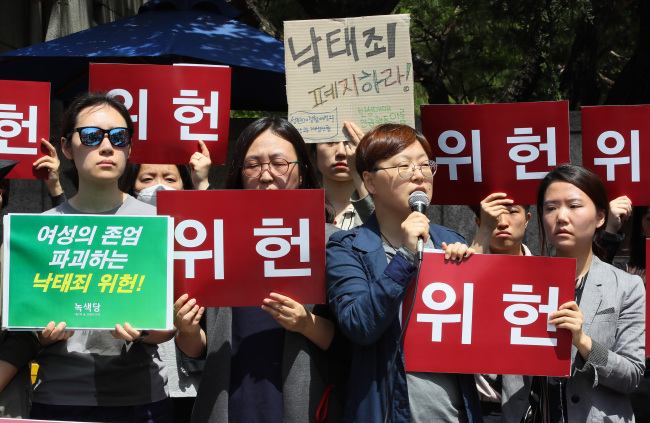 SEOUL, May 25 (Korea Bizwire) — Ahead of a public trial at the Constitutional Court of Korea regarding South Korea’s abortion ban, civic groups advocating women’s rights have called for an abolition of the law as it infringes upon women’s rights to equality and happiness. 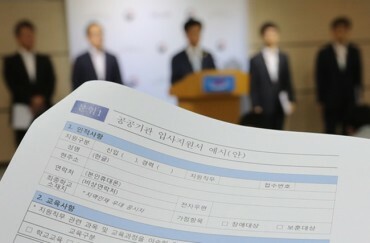 Various women’s rights organizations came together to create an anti-abortion common action group and held a press conference yesterday in front of the Constitutional Court in Jongno, Seoul, claiming that the anti-abortion law must be abolished so that everyone can exercise their rights to sexual practices and pregnancies. The activist groups said that if the current law were to continue, only women would be held responsible for unwanted pregnancies even though many actors are involved in the creation of a new life. The women also referred to a ruling in which a woman was fined woman 2 million won for deciding to get an abortion after being physically abused by her violent husband. Meanwhile, pro-life advocates brandished pickets depicting photos of dead fetuses, protesting the women’s groups while they held their press conference nearby. Under current law, a pregnant woman may be sentenced to up to a year in prison or fined 2 million won or less for having an abortion. A doctor who performs an abortion with the consent of a pregnant woman can be imprisoned for up to two years.